Four in five hospitals across England are not testing patients for Lynch syndrome – a genetic condition that significantly increases risk. Testing can help guide the treatment options but crucially determines whether family members stand a greater chance of succumbing to a disease that kills 16,000 in the UK every year. 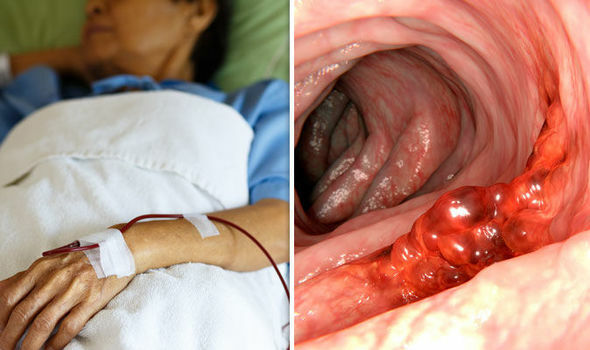 Lynch syndrome is an inherited condition passed down through families with children of those with it standing a 50/50 chance of developing bowel cancer. It has no symptoms but Lynch syndrome can be confirmed through a simple blood test, recommended by the National Institute for Health and Care Excellence [NICE], England’s drug rationing body. But Bowel Cancer UK and Beating Bowel Cancer found that 83 per cent of hospital trusts are not following official guidelines to test all bowel cancer patients at the time of their diagnosis for Lynch syndrome. Chief executive Deborah Alsina said: “Until there is clear local and national leadership and a firm commitment to improve the services for people at high risk of developing bowel cancer, the estimated 175,000 people who carry this inherited faulty gene will continue to fall through the gaps. The worrying picture emerged after the charity received replies from English hospital trusts with nine in 10 not providing the test citing financial reasons as the reason. Two-thirds claimed “staff resources” were a common obstacle while others said they were not aware of NICE guidelines. One hospital trust said: “The main barriers have been, and remain, financial and staff resources. “NICE produce guidance but the Government do not provide the funding for the implementation of the guidance. Only five per cent of those with Lynch syndrome have been identified meaning over 166,000 people in the UK do not know they are at a high risk of a range of cancers. Bowel cancer is one of the most common cancers in the UK for over 60’s. Here are the signs and symptoms to look out for. Testing costs around £200 per patient whereas treatment for bowel cancer is around £25,000. Matthew Wright, presenter of TV’s The Wright Stuff, said: “My father died from bowel cancer at just 54 – a year older than my age right now – and my grandfather was diagnosed with the disease in his twenties but remarkably he had lived until he was 68. “At the time of my father’s death, my family and I were told about Lynch syndrome and the 50 per cent chance that me and my sister could have it too. “Although I was convinced I had it, it was only until five years after my father’s death that I found out I didn’t. 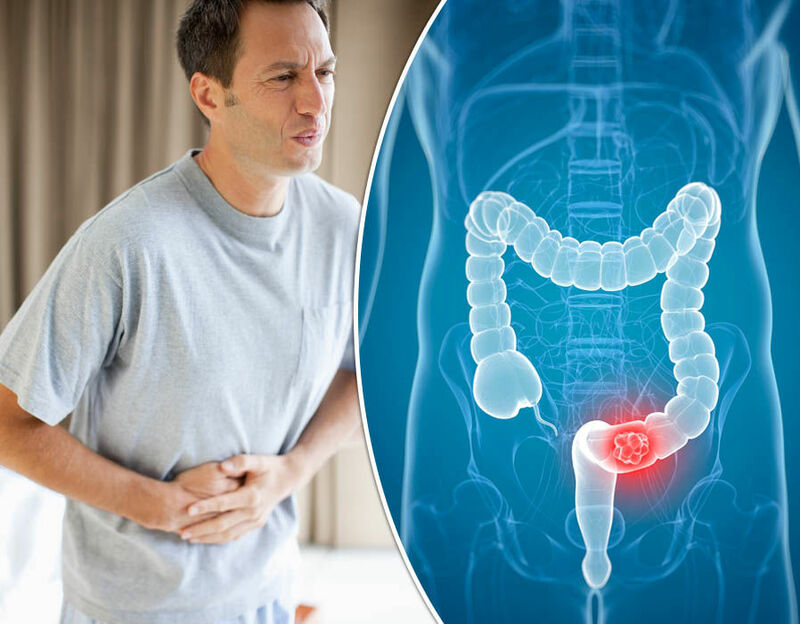 The screening scandal comes as latest figures show just over 50 per cent of those eligible for free bowel cancer screening in England take up the offer of a test. A thin, flexible tube fitted with a camera is used to look inside the bowel to look for and remove small growths called polyps, which could eventually turn into cancer, during a procedure called flexible sigmoidoscopy. The test can also detect cancer that has already started to develop, before symptoms are noticed and when it’s easier to treat. Uptake in England is 59 per cent while in Scotland it is 56 per cent. Gail Curry, head of health promotion at Bowel Cancer UK and Beating Bowel Cancer, said: “It’s concerning just over half of people who are sent the free bowel cancer screening test actually complete it. “A lack of awareness of the importance of the test, thinking it doesn’t apply to them and being put off by the nature of it contribute to this. “Bowel cancer is the UK’s second biggest cancer killer but it shouldn’t be. It’s treatable and curable, especially if diagnosed early. Professor Anne Mackie, director of programmes for the UK National Screening Committee, said: “The UK’s independent screening committee is currently consulting on some possible changes to the current bowel cancer screening programme.